NICE UPDATE! 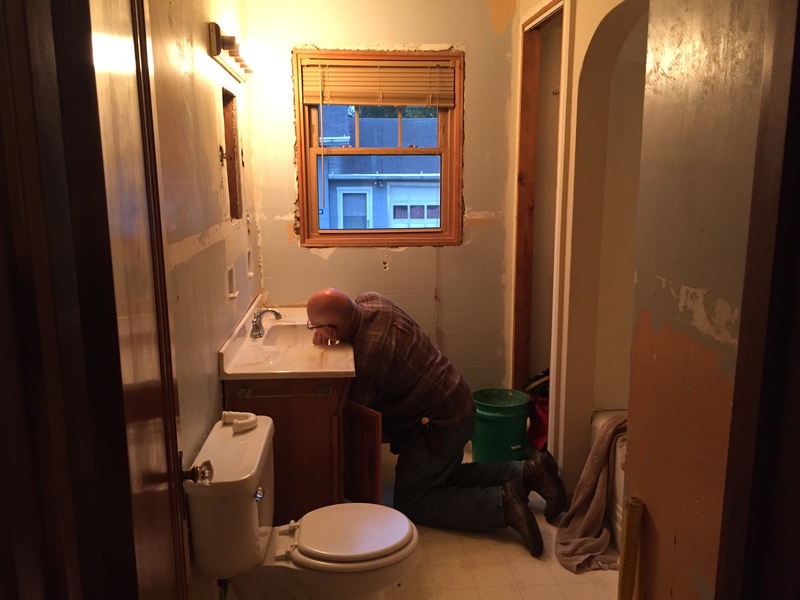 We completely gutted this bathroom, including an old cast iron tub and a restrictive plaster arch over the alcove. 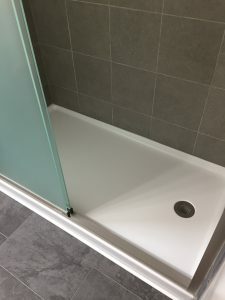 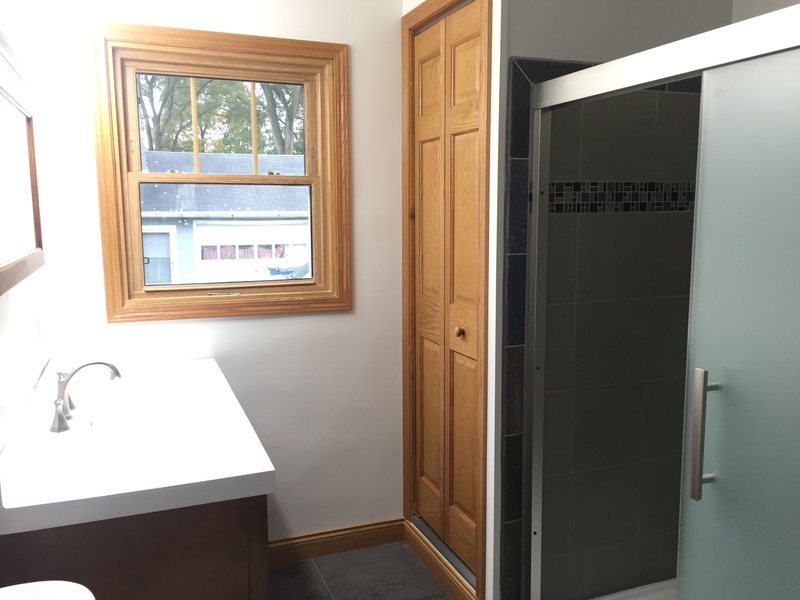 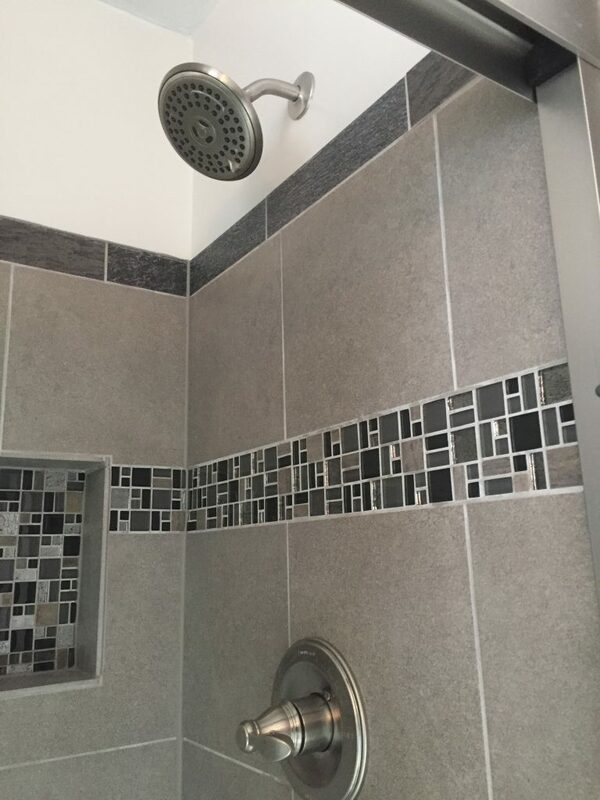 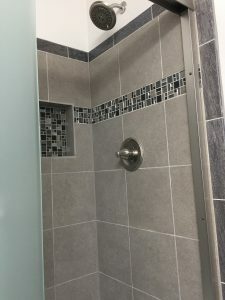 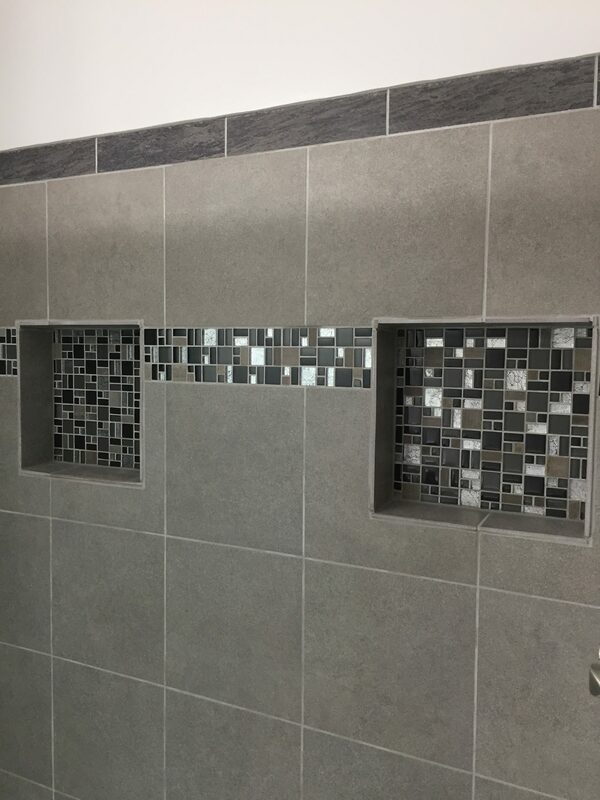 Installation items included a new acrylic shower base with ceramic tile/mosaic walls and two custom inset niche shelves. 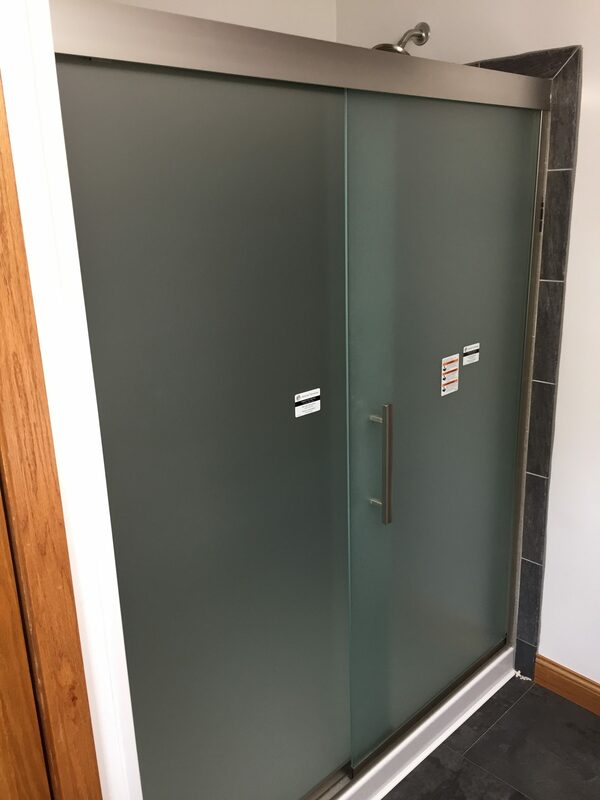 High quality sliding frameless bypass doors are Sterling Finesse – mist glass with nickel trim. 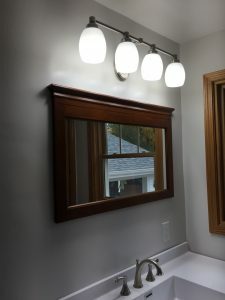 Vanity was updated along with a solid imperial top, lifetime Delta faucet, matching mirror, and 4-light wall fixture. 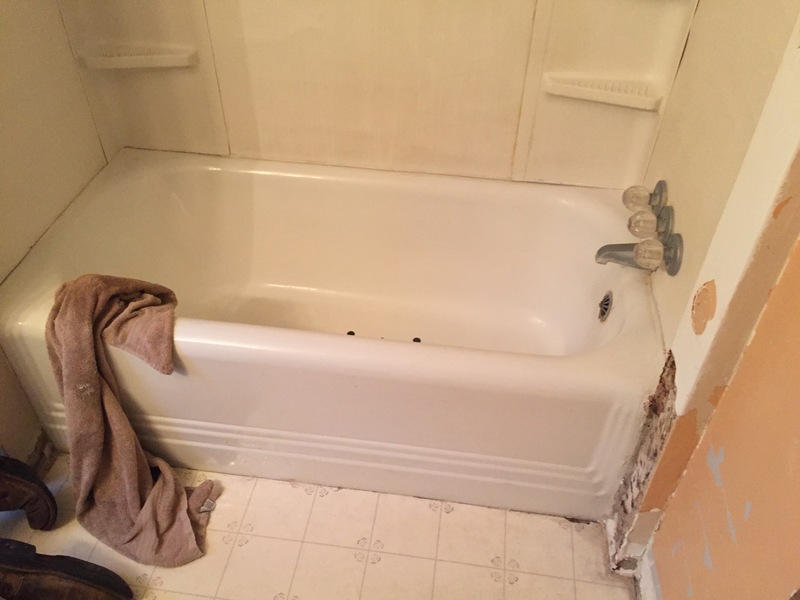 Walls were thin coated with joint compound to smooth over old wallpaper glue and plaster imperfections. Flooring is a durable sheet vinyl, which lays right over top of the existing flooring. It is as beautiful as it is economical! 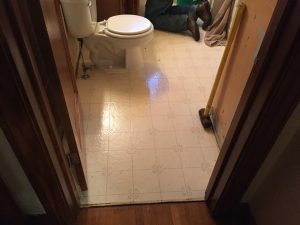 Toilet is a raised height, elongated bowl Mansfield Summit. 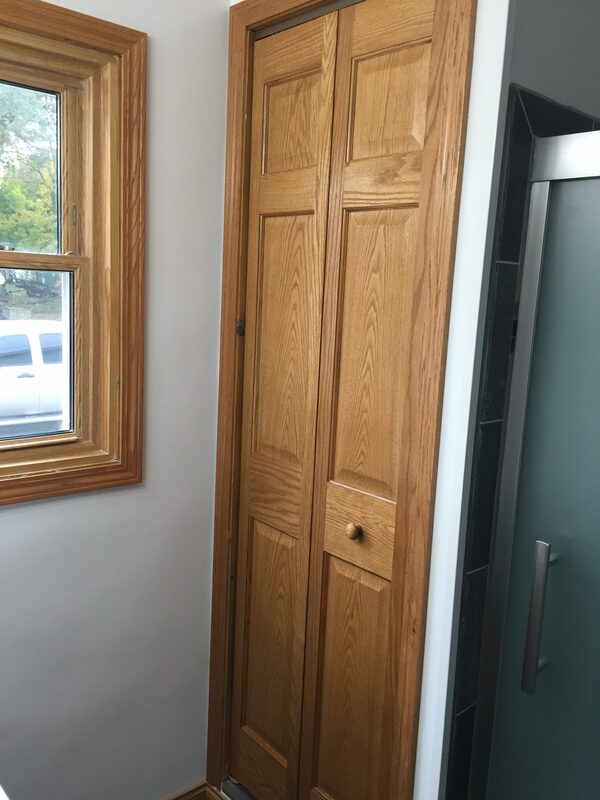 Finally, we installed all new solid oak baseboard and casing trim, as well as a solid oak raised panel bifold closet door. 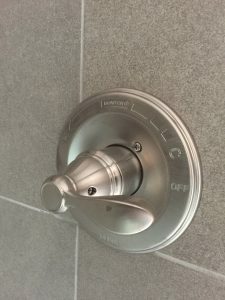 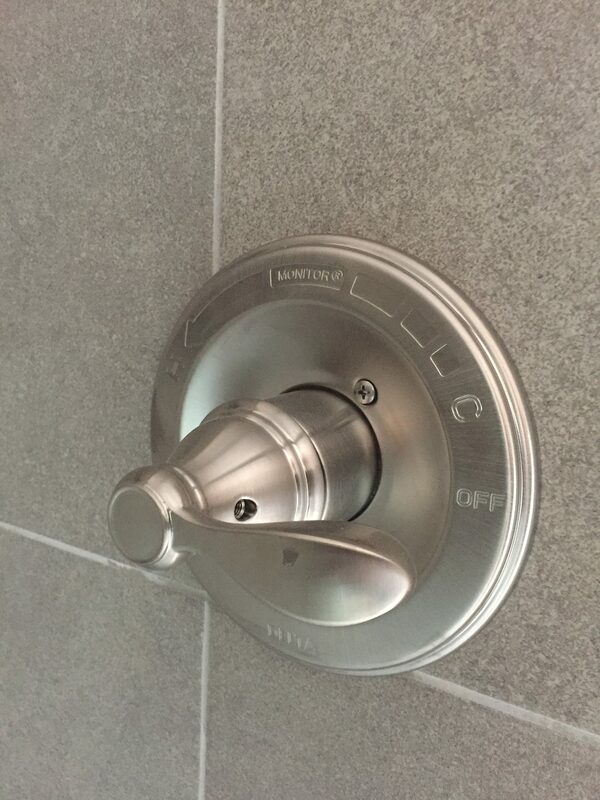 Remember, all my bathroom remodel projects include brand new quarter-turn shut-off valves, stainless braided supply lines, and traps. 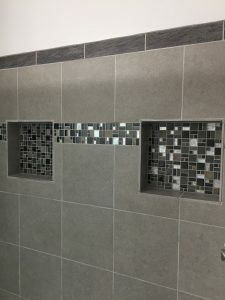 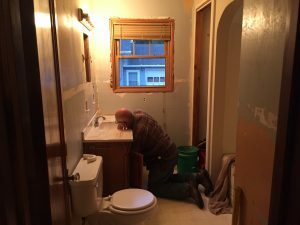 Give me a shout if I can help YOUR bathroom! 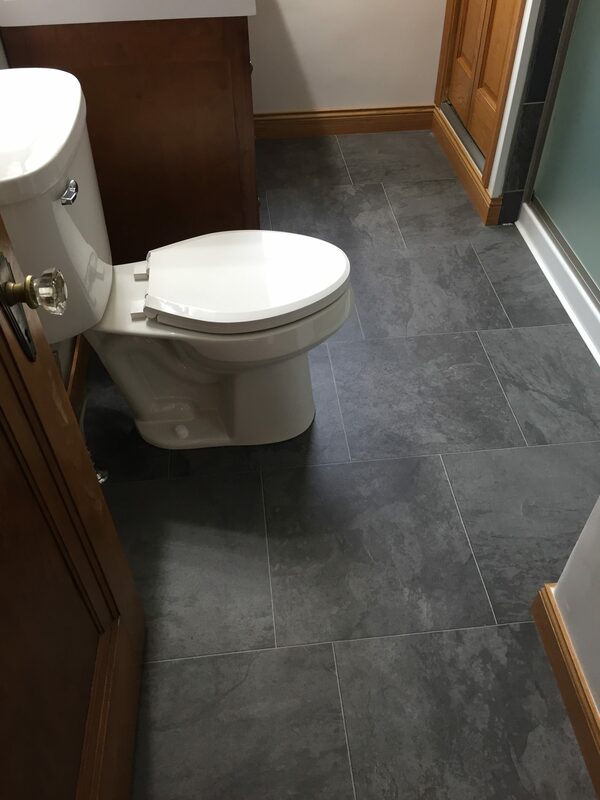 419-212-3200 – As always, estimates are free.